A North Ranch SINGLE STORY at this price......wow! 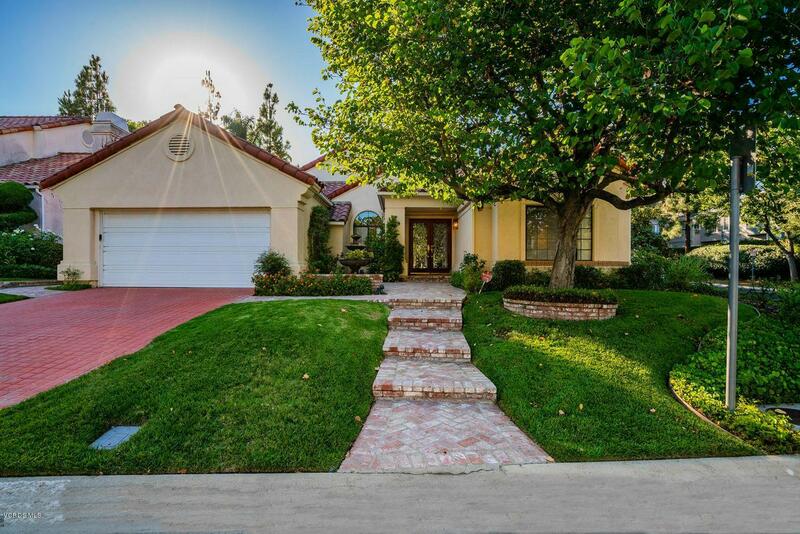 This Braemar home sits on a beautifully landscaped corner lot. Enter through the leaded glass double doors into a welcoming entry with Travertine floors that continue to the spacious kitchen. Granite counters and stainless steel appliances make cooking a pleasure. A delightful eating area is adjacent to both the kitchen and the family room that is enhanced by wood laminate floors, a raised fireplace and French doors leading to the rear yard. 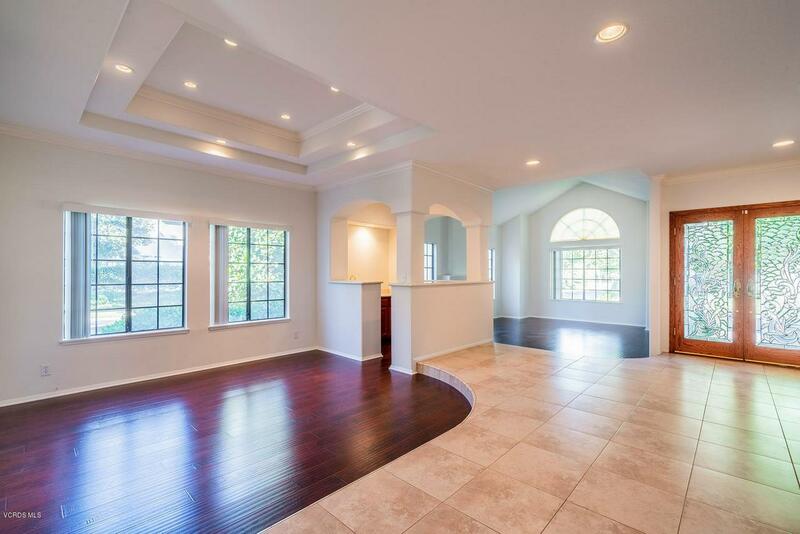 The formal living and dining rooms are also enhanced with wood laminate floors and are adjoined by a convenient wet bar, making casual or formal entertaining a joy. The living room fireplace adds to the charm. The master suite, with French door access to the rear yard, has dual closets and an expansive bath including dual vanities and a soaking tub. Three secondary bedrooms share a dual vanity bath. One is ideal as an office with access from the entry hall or from the bedroom wing. The simple elegance of the yard is instantly appealing with the perfect combination of patio and lush landscaping. 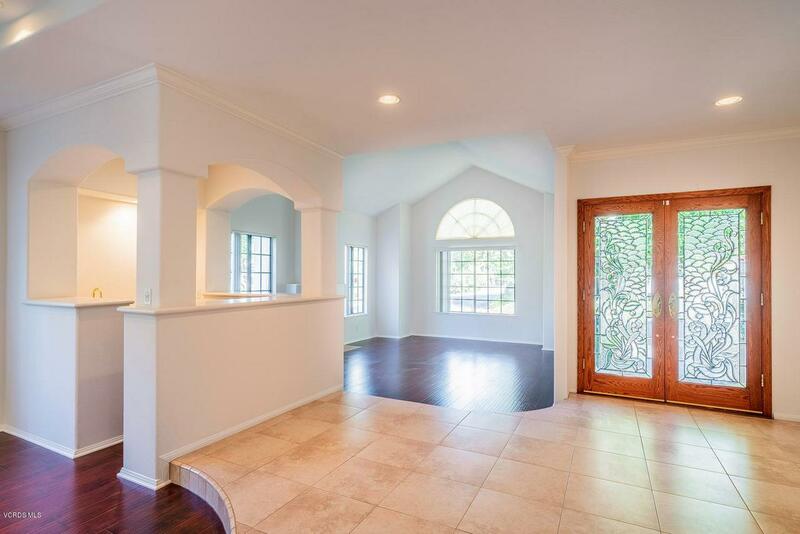 New paint and flooring throughout. Inside laundry room. Close to park, shopping and restaurants. Conejo Valley Schools. Sold by Chad Martinson BRE#01278263 of Pinnacle Estate Properties Inc. 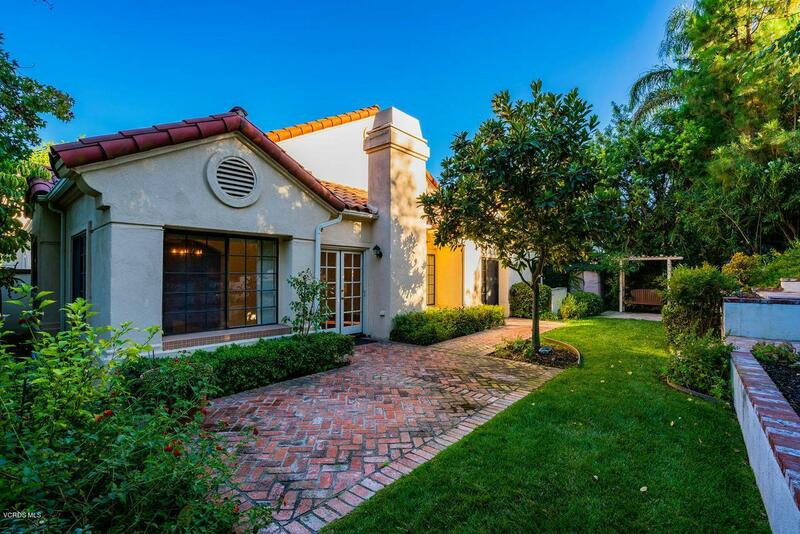 Listing provided courtesy of Francine Weisbecker DRE#01278263 of Coldwell Banker Residential Brokerage.